A terror suspect who claimed to be stateless following the Home Secretary’s decision to strip him of his British citizenship lost an appeal against her decision on Thursday. US court documents allege he was subject to US “illegal interrogation” in Africa. Mahdi Hashi had his citizenship stripped by Theresa May in 2012 on the grounds of national security. Shortly after, he filed an appeal at the Special Immigration Appeals Commission (Siac) arguing May’s order had left him without a state. Under international human rights law, it is illegal for an individual to be forced into such a predicament. Nevertheless, the court ruled against Hashi's appeal, suggesting he could apply for a Somali passport. Hashi’s barrister strongly refutes this argument. She says her client lost his Somali citizenship when he became a UK national aged 14, and has been madestateless by May’s decision. Hashi, 25, is currently detained in a New York prison, where he will be tried for alleged terror offences in February. Thursday’s ruling, which will be challenged by his legal representatives, is the most recent development in a long and complex case. Hashi was offered British citizenship in 1995, after he fled Somalia with his family. He grew up in north London, and worked as a carer in Camden. During a trip to Somalia in the summer of 2012, the 25-year-old was informed his British citizenship would be revoked. Hashi was arrested in Djibouti soon after he received the order. As he was abroad at the time, he had 28 days to appeal the decision. He reportedly made no attempt to do so. Hashi's lawyers have long argued this time limit should be subject to an extension. But the court rejected this argument on Thursday. The court also ruled arguments relating to statelessness were uncertain, and Hashi could not “demonstrate that he has a strong case” in this context. Previously under UK law, it was illegal to strip an individual of their British citizenship if such a move rendered them stateless. But the British Nationality Act, which relates to such cases, was amended in the summer of 2014. Following the legislative shift, it became legal to revoke a person's UK citizenship whether such a measure rendered them stateless or not. 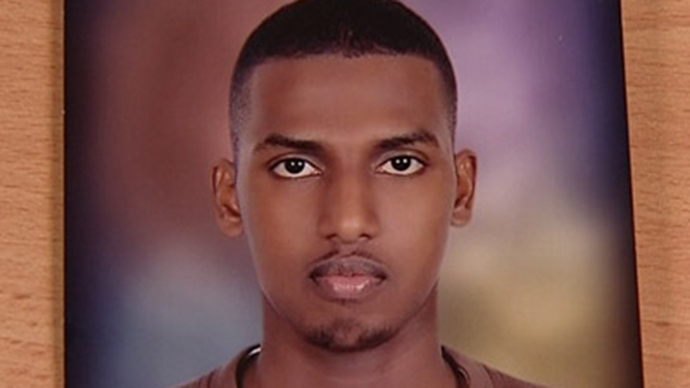 According to the Bureau of Investigative Journalism, American court documents filed by Hashi’s US lawyer said the 25-year-old was detained in a“secret Djiboutian facility under extremely harsh conditions,”and wasforced to endure “illegal interrogation”by American intelligence agents. Hashi alleges he was threatened with sexual and physical abuse and subsequently “strongly encouraged” to cooperate with US interrogators before being taken to New York, the court documents reveal. The former British citizen was secretly held for five weeks in the US before the charges levelled against him were publicized. Hashi has been detained in solitary confinement for over two years. He is accused of being a member of African terror group al Shabaab, but strongly denies the allegations.As a result of being kept in solitary confinement, his communication with British lawyers has been inhibited. Last November, a Muslim convert stripped of his British citizenship by May for alleged extremism launched an appeal to the Supreme Court to overturn her decision on the grounds it would render him stateless. May deployed her powers to withdraw his nationality after MI5 warned he posed a threat to Britain’s national security. In the past eight years, the UK government has stripped almost 30 people of their citizenship on the supposed grounds that their presence in Britain countered the public interest.